Make a Cheap Trip to San Francisco with Dream World Travel NOW! Book cheap Flights to San Francisco and visit yet another international destination that Dream World Travel provides cheapest flights for. You do not need to face hassles in searching for the affordable flights or holiday packages. Dream World Travel paves the way for your easy and outstanding trip. Alongside other international destinations, we proudly introduce the cheapest cheap flights to San Francisco for our valued customers. San Francisco is a colourful city of the United States located in Northern California. The city is popular due to its foggy weather round the year and hilly landscapes. Extend your visit to Walt Disney Family Museum and come to know about Walt Disney’s life and career. 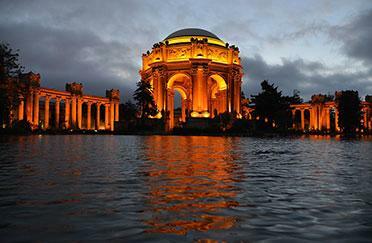 Get some interesting moments at Golden Gate Park, Palace of Fine Arts and Alamo Square. Do not forget to get a ride of cable cars and enjoy the calmness of Fairy tours at San Francisco bay by sailing under Golden Gate Bridge. Stop by our official website and you may come across the affordable options for your travel needs. 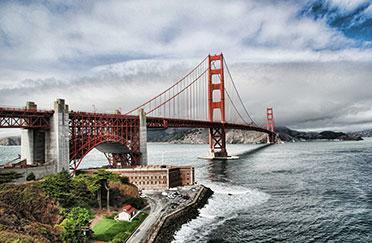 Take any of the cheap flights to San Francisco and explore more to get an exuberating experience. One of the greatest attractions of the city is the Golden Gate Bridge that presents an astonishing view of the city surrounded by San Francisco Bay. The bridge is the city’s most photographed site. Don’t forget to visit the Fisherman’s wharf; it is one of the most popular areas in San Francisco. It is an area known for its restaurants, shops and stunning setting along the waterfront. Visitors can arrange fishing charters and can also enjoy cruises that will take them on tours of the area with remarkable views of the city. Go for Alcatraz Tour that gives you insights about prison and prison conditions. The audio tour will guide you with a plenty of information about prison, its blocks and other related history. Don’t miss to visit the Golden Gate Park, a wonderful green space in the heart of the city. It contains many lovely gardens and museums and often considered as the lungs of the city. Visitors can enjoy a grand network of walking trails and cycling paths. Visit a major tourist destination, 2.6 acre public plaza in downtown San Francisco; it also refers to the central hotel, shopping and theatre district. The city was a part of Mexico until the Mexican American War. Denim jeans were invented for the Gold Rush miners in San Francisco. The city is ranked 4th in the world in terms of numbers of billionaires living with in the city. Dahlia is the official flower of the city. 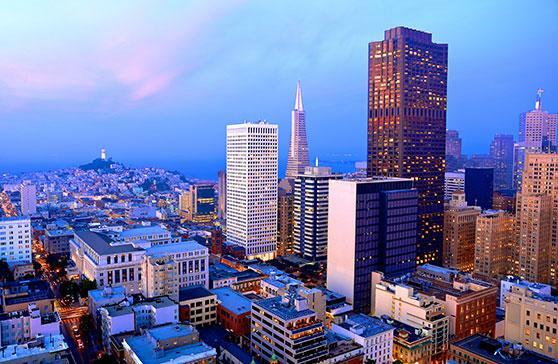 The population of San Francisco was only 744,230 at the end of 2004.